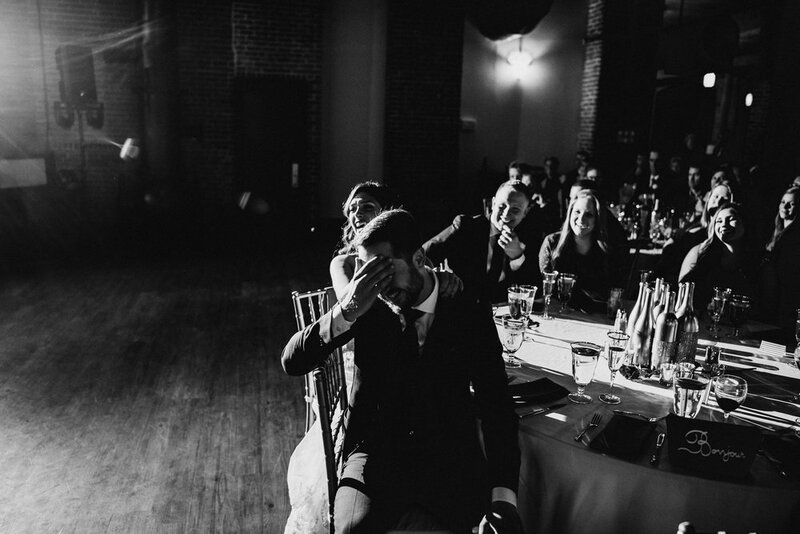 Charles River Museum Of Industry Wedding | Gabrielle & Alex — Paul Robert Berman Photography Co. Regardless of how many times I photograph a Charles River Museum Wedding, they never look or feel the same to me. This venue is like a blank canvas for couples to express themselves within. It never ceases to amaze me when I walk into the building each wedding day. I am absolutely in love with this space. Gabrielle & Alex made me feel as if I was one of their friends from the moment we first spoke on the phone. Being in their company always results in a good time. As Gabrielle's sister noted during her speech, "When the wine is finished, so is the conversation". Though our post engagement session dinner proved that wrong.